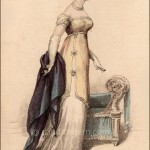 La Belle Assemblée, August 1808. The “French gloves” are also of interest. 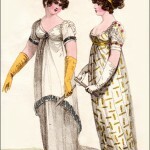 Most English gloves were loose fitting, but French prints always show tight-fitting gloves, as here. Also, we seldom see English evening gloves in any color but white, or, very rarely, yellow. 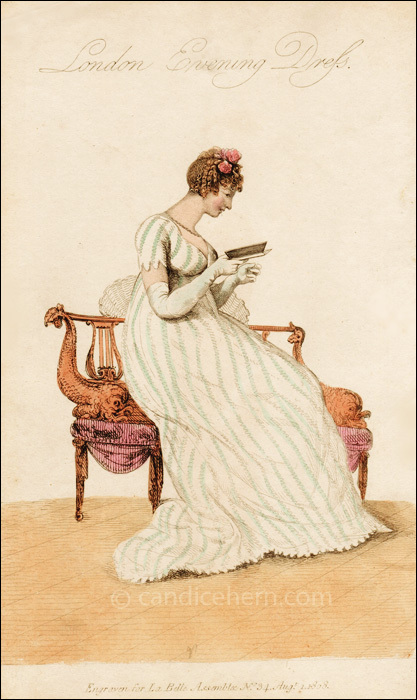 Here, the gloves are shown in pale green, almost the same color as the stripes in the dress.